Wasn't entirely sure where on earth to put this, it's mathematical based art but the art forum is for personal work only so the science/technology section seemed the most fitting. Make sure you check out the links at the bottom, there's way more pictures thanks to the awesomeness of what fractals are. That's wicked sick, looks like an embroidered ball. 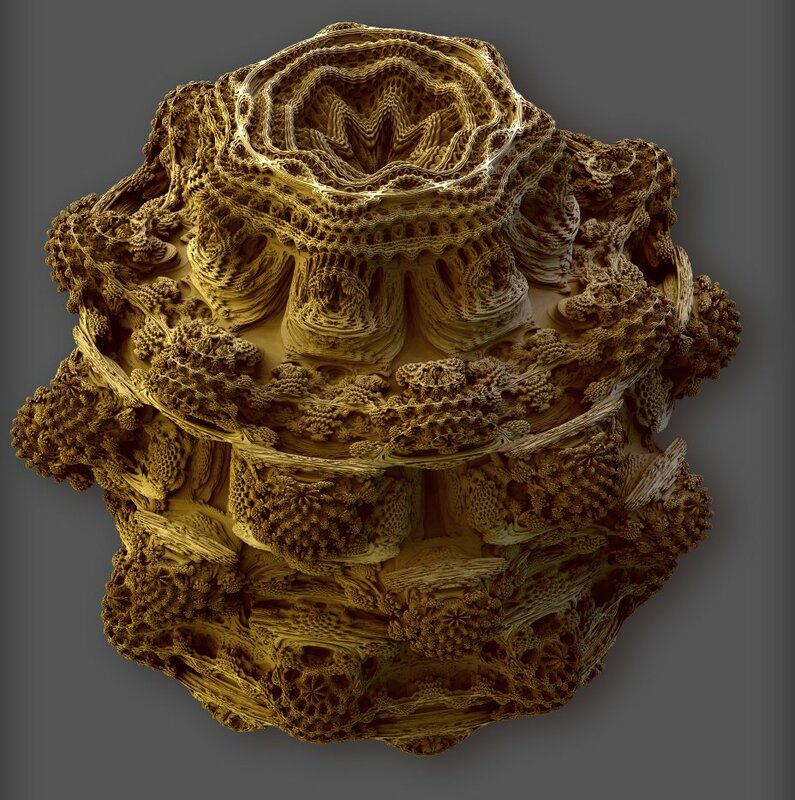 Nice find, never knew there were actual renders of 3D fractals out there. That looks a bit creepy. Rivers, snow flakes, trees (in modern FPS games the trees are grown, sometimes using "polysplines") and many others are also fractals (within some bounds).